What is Everyone In Cedar Rapids Whispering About? Lately it seems that everyone has a secret. And they're spilling the beans! The new Whisper app is an upcoming social media darling that has many people anonymously confessing things they would never dare tell anyone in real life! 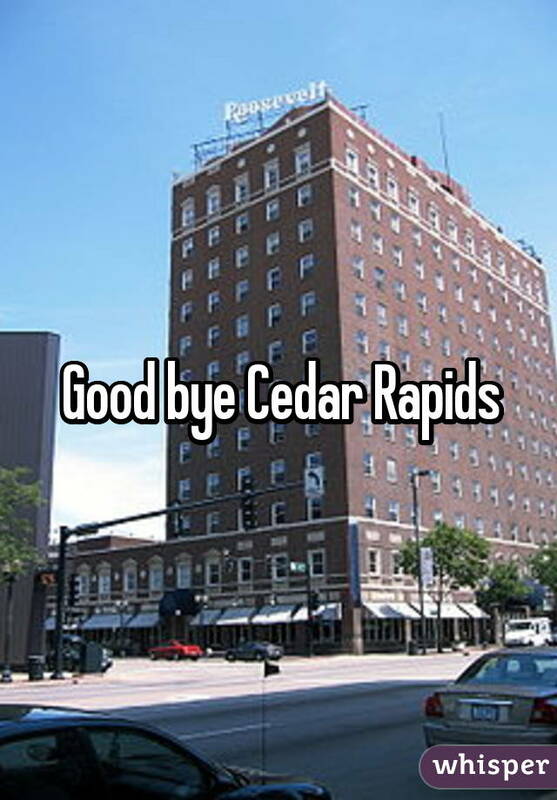 When I arrived in Cedar Rapids a few months ago, I decided to create a Whisper account in hopes that I might find some other new transplants along with some trendy locals. But after several months, it appears that the small number of Cedar Rapids Whisper members stalled around 45 participants. Not a crowded room. And most of the Whispers shared are the creepy-stalker type posts searching for women. Not a good look, CR. Now it seems the more indecorous Whisper campaigns are being posted and shared everywhere. Shocking Coffee Barista Confessions! Road Rage Confessions! It's no secret I am quite susceptible to a good click bait slug line, the juicier the better. But it's also true that some things are better left unsaid, or in this case, unread.